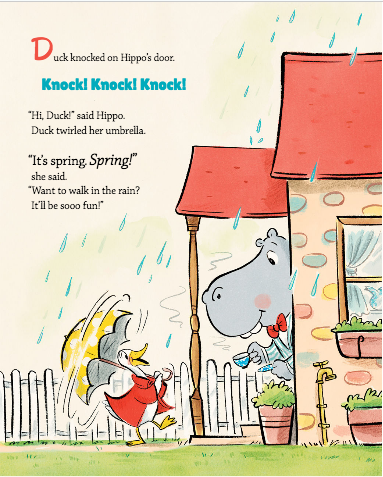 GoodReads Summary: Get ready for a rainy-day adventure with Duck and Hippo! Duck and Hippo may be completely different, but they are best friends. When playful Duck invites careful Hippo to go for a walk in the rain, they have trouble sharing Duck’s umbrella. But Duck and Hippo won’t let that stop them. Soon they are puddle-jumping and sailing down the river! Until…WHOOOSH! A terrible wind sends the umbrella flying up, up, up into the air, with one friend holding on. What will Duck and Hippo do now? Jonathan London’s charming text and Andrew Joyner’s delightful art bring to life two lovable friends in this fun new series. Our Review: We are huge fans of the Elephant and Piggie series and Frog and Toad series. They are staples in our households, so when we read these books, we were truly delighted! Duck and Hippo show readers that opposites attract—and they make for a wonderfully fun adventure. Ricki read this book with her three-year-old, and he was giggling hysterically at the drawings. It’s a winner. The charming story will capture readers from beginning to end, and the language is written in a way that will be very helpful for beginning readers. It takes a lot of skill for an author to write text that is humorous and engaging yet also helpful for beginning readers to master language. London does this perfectly.We will be hanging on to these books tightly as we wait for our sons to be a bit older to learn to read. We recommend you get your hands on this book because it will surely be a popular series in classrooms. Teachers’ Tools for Navigation: We love the concept of opposites attracting. Students might begin by considering other examples of characters in literature who have been paired together. They might form small groups and design their own story of two very opposite characters who might attract. We’d love to be in a classroom on a day that students were sharing these stories! Discussion Questions: How are Duck and Hippo different? How are they similar? How does that make for a great adventure? 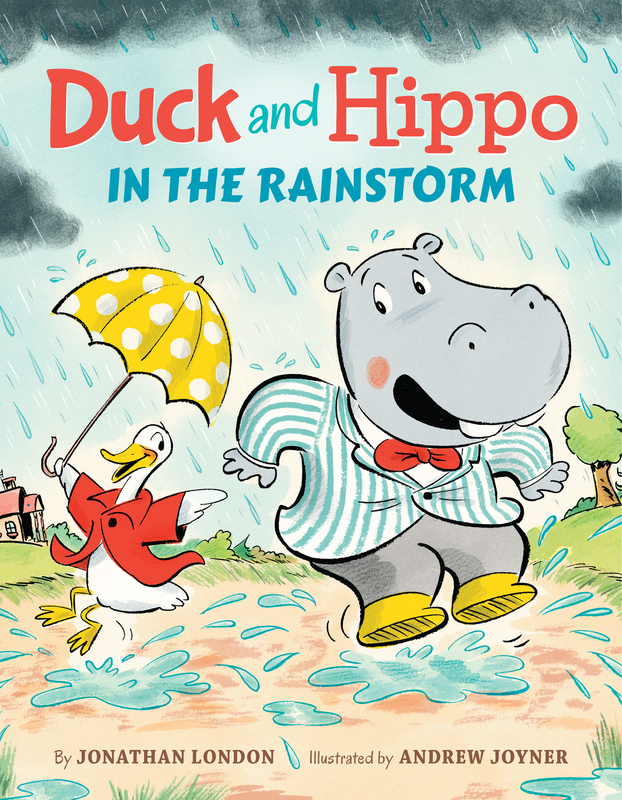 ; Why do you think the author chose to have Duck and Hippo in a rainstorm? Why does this make for a fun read?